(Dan Waters) N—Ashton Dominque 197-1 JT; Bobby Colantonio 251-2 HT; Lazarius Decatur 199-2 JT; Jerome Ford (football) 10.50w; Kewmoi Ndiwa’ (Ken) c1:49; Noel Rotich’ (Ken) 8:52.2. JC—Robert Dunning 13.81; Stephan Holcombe 46.21. 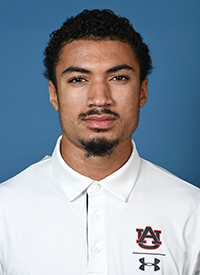 (Chris Bucknam) N—Rashad Boyd 10.55w, 20.93; Kyle Costner 6309; TRE’BIEN GILBERT 13.53, 36.18. DNR— -Obi Igbokwe 20.52, 44.94; *Carlton Orange 1:46.96; *Harrison Schrage 25-3¼. (Ralph Spry) N—Caden Ciul 52.91; James Courson 16-9; Dontavious Hill 7-0; Jason Reese 10.58; ANTHONY SCHWARTZ (football) 10.09(A)/10.07w, 20.47/20.41w; Shaun Shivers 10.33/10.29w, 20.81. T—*Malik Metivier’ 50.16. Pro—*Nathon Allen 20.46, 44.13; *Akeem Bloomfield 19.81, 43.94. 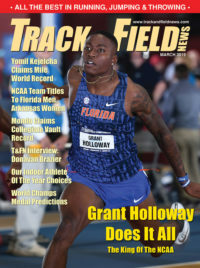 (Mike Holloway) N—Trevor Foley 14:35.13. T—**Raymond Ekevwo’ 10.35/10.24w. DNR— -Michael Timpson 10.33/10.25w, 20.82/20.66w. 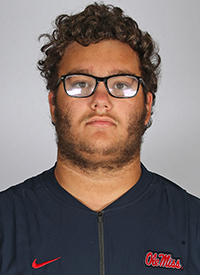 (Petros Kyprianou) N—Tyson Campbell (football) 10.42/10.39w, 20.83/20.80w; James Cook (football) 10.53w; KYLE GARLAND 13.80/13.69w, 7-2, 23-6¼, 7562Jr; ELIJA GODWIN 10.52w, 20.71, 45.83, 47-9/48-2¾w; Karel Tilga’ (Est) 6-10¾, 24-1½, 227-2 JT, 8101. (Lonnie Greene) N—Tai Brown 13.86; Travis Riley’ (Jam) 25-9¼, 50-4½(A)/51-2¼w; Jacob Smith 10.51w, 21.13, 47.00; JOSHUA SOBOTA 69-1¼, 200-5 DT. (Dennis Shaver) N—Ja’Marr Chase (football) 24-2¼; MONDO DUPLANTIS 19-10¼; Eli Gaughan 208-7 JT; Kenan Jones (football) 23-7½, 47-11½; Tripp Marcus 207-0 JT. JC—Tyler Terry 20.68w, 45.62. DNR—**Cameron Cooper 1:47.59. … enter Karel Tilga. 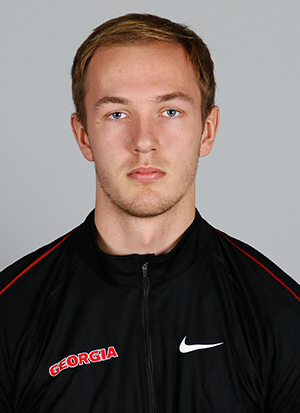 Another Estonian, one who will be 21 when he starts his frosh season outdoors, Tilga, at 6-7 (2.01), will check in as the tallest of a towering deca trio. Soph Erm is 6-6 (1.98) and Georgia’s other bluechip 10-event recruit Kyle Garland, the U.S. Junior champion out of Germantown Academy (Ft. Washington, Pennsylvania) stands 6-5 (1.96). Tilga also brings a big PR: 8101 set placing 11th at the elite Götzis deca last May in just his second outing with full-sized international implements. That’s a mark that would have been good enough for No. 3 on last year’s collegiate list. Tilga is running in training, for the moment following doctors’ orders to avoid other events in which a fall might set back his elbow’s recuperation. The plan is to shoot for an NCAA qualifying score in late April or May and then see how far back he can bring his intense-for-the-elbow vault and javelin by nationals-time. With deca-event PRs of 11.04, 24-¾ (7.33), 50-3¼ (15.32), 6-10¾ (2.10), 49.38, 15.22, 150-11 (46.00), 15-5 (4.70), 227-2 (69.25) and 4:40.07 (with 6 of those bests set either at Götzis or the ’17 Euro Juniors), Tilga exudes potential. However it plays out, new blood should keep Georgia’s multis-points-machine in high gear for the foreseeable future. (Connie Price-Smith) N—Joseph Benedetto 223-2 HT; Kenny Broadnax 13.81; Mario García’ (Spa) 1:50.66, 3:42.35, 8:12.60; Dalton Hengst 4:03.64+, 9:00.08+, 14:42.67; Nick Moulai’ (NZ) 3:47.05, 8:16.77. JC—James Burnett 46.25i. T–**Elijah Dryer 20.71w. Ret— -Derek Gutierrez 3:42.44. (Chris Woods) N—Cameron Crump 21.11w, 24-8½w; Cade Finley 185-3 DT; Jess Henderson 13.93; Nick Hillier 16-0; Okheme Moore 10.37, 20.78; Jeremiah Pierce 61-1. JC—Milton Harrell 7-2½; Montel Hood 46.29. (Brett Halter) N—Georgi Nachev’ (Bul) 51-8¼/51-11¾w; Ty Olejnik (baseball) 24-5¾w; Martin Prodanov’ (Bul) 1:51.48, 3:50.01; Jekeel Suber 13.91(A); Roberto Vilches’ (Mex) 7-5(A), 24-10½(A); Mitch Weber 61-0, 196-10 DT; Kieran Wood’ (GB) 3:43.13. Ret—**Ja’Mari Ward 26-8¼, 53-7½. T—*Caulin Graves 10.31w, 20.72w. Pro—Austin Hindman 4:04.53y. (Curtis Frye) N—Arinze Chance’ (Guy) 46.81; Ronald Fuller 10.46/10.38w, 21.16; Carlos Wilson 23-7w. JC—Quincy Hall 44.60, 49.02. (Beth Alford-Sullivan) N—Cameron Council 10.42, 20.88; Andrew Ference 16-8; CAMERON MURRAY 13.52, 24-5/24-8¼w. DNR—*Ari Cogdell 46.27. (Pat Henry) N—Mason Corbin 6-11; Mason Farley 6-10¼; Jake Lanier 21.02; NICK MIRABELLI 227-10 JT; Robin Nool’ (Est) 17-6½; Kenny Odinet 16-3; C.J. STEVENSON 24-3, 50-6¾; JAMAL WALTON’ (Cay) 10.54/10.42w, 20.57, 44.99; Campbell Webb 16-0. T—*Carlton Orange 1:46.96. (Steven Keith; XC only) GT—Patrick Perrier 3:44.32. (Dan Waters): JC—D’Jai Baker 23.40, 53.67; Natassha McDonald’ (Can) 23.39, 52.20. JC—Esther Gitahi’ (Ken) 10:35.17St. T—**Nickolette Dunbar 54-7½. (Lance Harter): N—Kaitlyn Banas 13-3; Quinn Owen 4:48.99+. 10:29.34+; Paris Peoples 53.68, 2:10.75; Grace Ridgeway 13-0; Katrina Robinson’ (NZ) 2:08.86, 4:14.05, 9:03.84, 16:16.01; J’Alyeia Smith 13.98/13.83w, 42.14, 5-10; Tiana Wilson 11.72w. T—**Kethlin Campbell 11.59, 23.37; *Shafiqua Maloney’ 23.17w, 53.19. 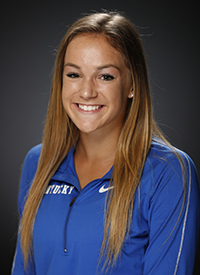 Ret—*Desiree Freier 14-7¼; ***Lauren Gregory 4:42.00, 10:05.26; -Kelsey Herman 13.31, 20-6¼, 5830; -Payton Chadwick 22.99, 53.42, 12.83, 20-7¾w, 6023; *Ceara Watson 53.61, 2:05.86; **Taylor Werner 9:06.34, 15:51.08. DNR—***Carlie Queen 5-11½. (Ralph Spry): N—Kennedy Brown 41-7¾; Tylar Colbert 60.00; Gigi Maddox 6:56.81st. Ret—***Madi Malone 166-10 HT. DNR—**Renee Shaw’ 13.92; *Natalliah Whyte’ 11.04, 22.55. 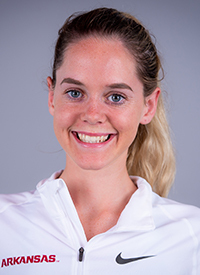 (Mike Holloway): N—Imogen Barrett’ (Aus) 2:08.17, 4:23.42; Shakira Dancy 11.71w, 23.96/23.85w, 54.36; Arianne Morais’ (Nor) 172-5 JT; Kala Penn’ (BVI) 20-5¾, 43-3¾; GABRIELLE WILKINSON 2:05.72, 4:42.94. 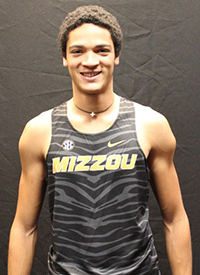 (Petros Kyprianou): N—Anna Marian Block 2:09.19, 4:46.67; Imani Carothers 13.72, 19-11¾, 40-3/42-10½w; Sakari Famous’ (Ber) 5-10½; Courtney Long 13-½; TITIANA MARSH 20-5, 43-5½; STERLING LESTER 52.94(A), 13.41, 5523. Ret— -Mady Fagan 6-3¼. (Lonnie Greene): N—Tatiana Aholou’ (Can) 11.71, 20-6w; Jaci Bickett 13-3½; Devine Parker’ (Bah) 11.59, 23.68; MASAI RUSSELL 13.93/13.80w, 40.16, 57.55; ABBY STEINER (soccer) 11.38, 22.73. DNR— -Olivia Gruver 15-3¾; Pro—Jasmine Camacho-Quinn’ 22.69, 12.40; **Sydney McLaughlin 11.07w, 22.39, 50.07, 13.34, 52.75, 20-7¾. (Dennis Shaver): N—Ariyonna Augustine 11.56, 23.47/23.41w; Katy-Ann McDonald’ (GB) 2:03.20, 4:22.96; Kiya Oviosun 23.95/23.80w, 53.63; Sha’Carri RICHARDSON 11.28/11.12w, 23.28/23.02w. T—Mercy Abire’ (Ngr) 11.71w, 20-9¼/21-4w, 42-11¾; **Lisa Gunnarsson’ 15-1. DNR—**Nickolette Dunbar 54-7½. 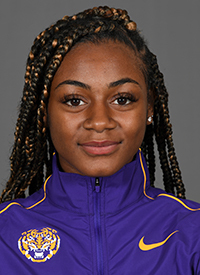 (Connie Price-Smith): N—Tedreauna Britt 46-9, 170-2 DT; Jayda Eckford 23.51; Courtney Hopkins’ (Aus) 16:50.25; Brandee Presley 11.62/11.44w, 23.92w; Kelly Rowe 11.65(A)/11.47w, 23.72. Ret— -Anna Braswell 16:16.25i, 33:47.22. Pro— -Raven Saunders 64-10, 186-6 DT, 190-2 HT. (Chris Woods): N—Asia Poe 5-9, 19-1½w, 39-9¼/40-5¾w; Raven Thompson 5-10; Alex Woodberry 5-8. Ret—*Sarah Blake 174-3 JT; **Sylvia Russell’ 10:28.36. (Brett Halter): N—Ava Curry 144-7 JT; Victoria Findley 4:49.35; ARIANNA FISHER 19-4½w, 42-9; Sydney Johnson 156-8 DT; Suenomi Norinh 5-9½, 4809; Emily Offenheiser 151-8 DT; Morgan O’Neal 42.40, 59.65; Mirieli Santos’ (Bra) 19-9¾, 45-3¾. Ret—*CeCe Johnson 175-1 HT; *Jordan McClendon 187-1 HT. T—*Sophia Rivera 55-1½, 180-4 JT; ***Erin Zimmerman 154-11 JT. (Curtis Frye): N—Mathilde Coquillaud-Salomon’ (Fra) 13.46/13.41w, 19-1¼/19-6¼w. T—*Wadeline Jonathas’ 11.41w, 23.29/23.14w, 52.81. DNR—*Rougui Sow’ 22-¾. (Beth Alford-Sullivan): N—Akira Rhodes 13.66; ALONIE SUTTON 19-9½, 42-5; Katie Thronson FLXC. Pro— -Shania Collins 10.98, 22.47. (Pat Henry): N—Ally Andress 5-8; Parker Clay 47-0; MAYA EVANS 20-10½(A); Jania Martin 11.76w, 23.60/23.58w, 54.58; Tierra Robinson-Jones 23.56, 52.37. T—**Syaira Richardson 52.25; *Falon Wilson 11.69w, 13.76w. (Steve Keith): N—Haley Walker’ (Can) 2:06.48, 4:24.99; Ana Wallace FLXC. Ret— -Jennifer Edobi’ (5th year) 52.75.